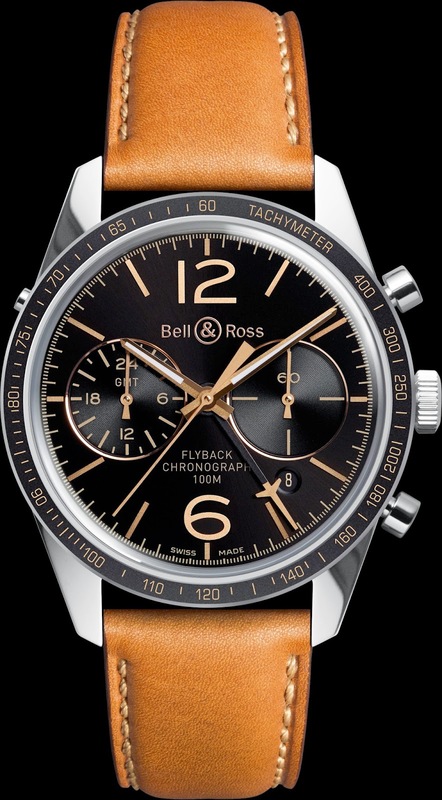 Bell & Ross has always been passionate about military history and particularly aviation, which made precise timekeeping one of its key navigational tools. 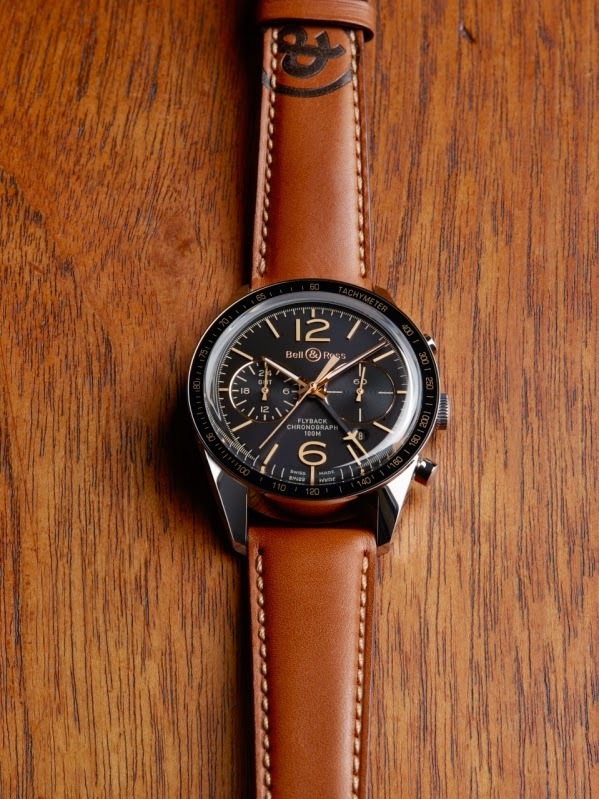 Its collections illustrate the unique parallel between the history of aeronautical development and that of watch-making. In the VINTAGE Collection, the Vintage Sport Heritage line pays particular tribute to the watches worn by civil aviation pilots in the 1960s. Using the most modern techniques to recreate the effects of passing time, the Heritage style manifests the authentic look of timepieces of the past. With gold-plated metal appliquéd numerals and index, its brushed steel case and its gold leather strap, the BR 126 SPORT HERITAGE GMT & FLYBACK is a sophisticated version of the Heritage style. 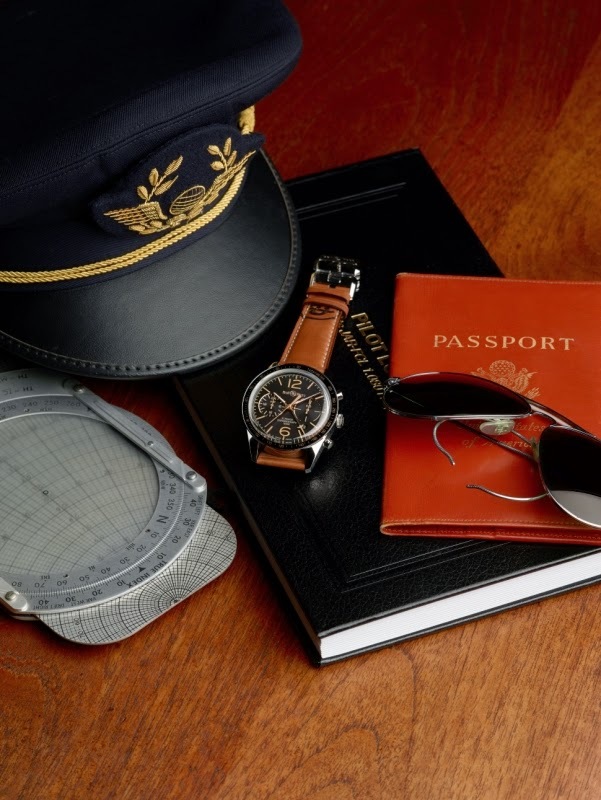 A chronograph designed according to professional specifications, this aviation chronograph is fitted with a Flyback, making it possible to instantly restart the measurement of time, and a GMT function displaying a second time zone in 24-hour format.